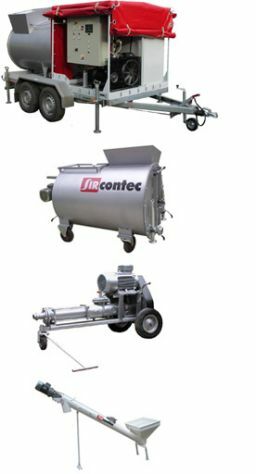 SIRCONTEC has been developing its own machines and equipment for lightweight concrete (LC) production and delivery for more than 12 years. Purchased parts of machines are from renowned manufacturers providing Europe-wide services. Together with parts from our own production, they are a guaranty of reliable operation. Machines delivered in a system or separately are parametrically optimised for common scope of use. Extraordinary demands can be met by connecting external equipment. The machinery has been optimized for buiding structures made of lightweight concrete. Specific technical information on SIRCONTEC machines and equipment can be also found in the in the documents below.